On the never-ending hunt for Munich’s best coffee, I couldn’t skip Man Versus Machine, which had been on my list ever since the first time I cycled past it. It looked hipster, but above all, like a place where I could grab a tasty cuppa. This coffee place is - as the name already reveals - a manly coffee place, which is quite unique in Munich where girly and insta-worthy cafés seem to be a thing. So does this place compete with the others? When walking into Man Versus Machine it feels like I’m transported straight to London’s oh-so-cool and painfully hipster area Shoreditch. The men are bearded, the tiles are white and the coffee smells strong. It's spacious, bright and different than the usual coffee places. There's a counter with some freshly baked goodies such as Franzbrötchen (the German answer to Swedish kanelbullar). But we came here for the coffee! Because let me tell you, this is some of the best coffee you'll find in Munich, and I'm not the only one who shares this opinion. I'm not the coffee expert, but these guys seem to really know what they're doing. 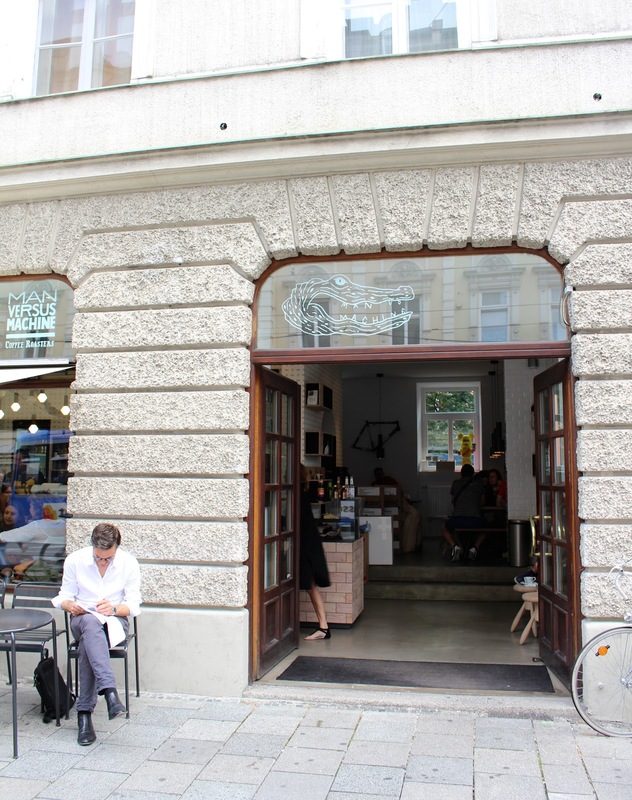 This place only opened about a year ago, but it's a serious threat to all other Munich coffee places. Check out those warm cinnamon-y Franzbrötchen on the table next to us. I strongly regretted not taking one last time but before leaving Munich I WILL try one. I had some serious food-envy. I have only tried cappuccinos at Man VS Machine, but they are so good it's hard to choose something else. Pretty coffee-art, strong well-balanced coffee and crocodile cups, what more could you wish for? 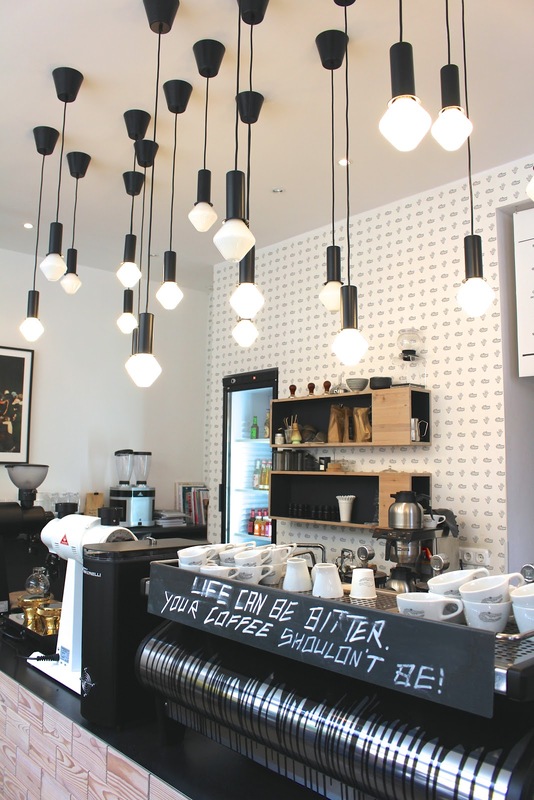 Man Versus Machine is definitely one of the top coffee places in Munich. The only thing missing is good wifi (you get 30 min here) and the fact that they are closed on Sundays, otherwise I'd be happily be sipping cappucchinos here all day while blogging. 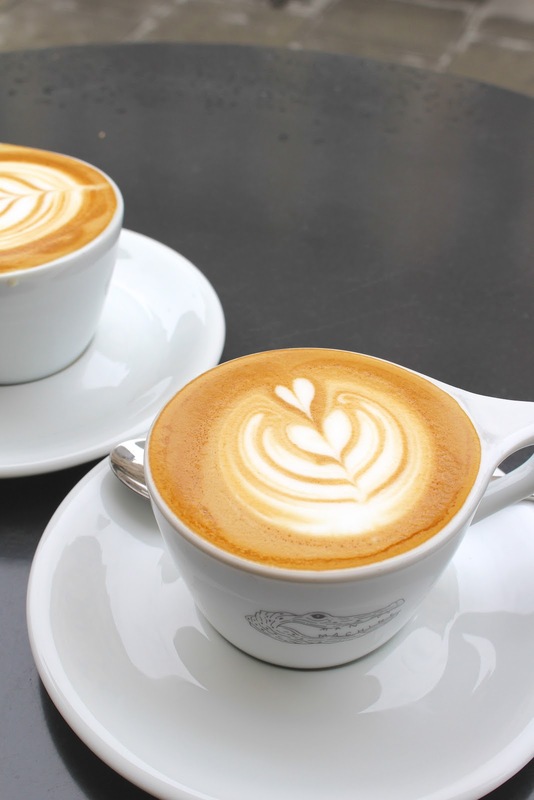 Coffee lovers, I hope you paid attention, put it on your to-do list!